We are looking for advice for an easy install back up camera. I assume a 12v wireless system would make sense. Hey....you've got a 62' Nordland..couldn't you just hire a guy to stand on the back and give directions? Two “RuggedCam” units, mounted one on each side of boat just forward of the cockpit. Left and right cameras each display on the left and right Garmin MDFs at the helm. They are wired, not wireless. Super clear pictures! I installed a regular CCTV camera (wide lens) and pulled the Siamese cable from the helm to where I mounted the camera(s). I did not go wireless. The cables end in RCA which I added a BNC adapter to and connected it to the video inputs into my Simrad chartplotter. This gives me the option of having a partial screen of the video image or a full 16" screen if needed. I do not use the camera for "backing up". When I am in a close quarters situation, it is not the time I want to be looking down at my screens, I want to be looking out the windows. The other issues with cameras, is that I would need one on each rear corner of boat and pointed down. I tried a automotive rear camera mounted on the transom but it's field of view is just not wide enough. When backing up, I have my wife at the stern of the boat with a Sena headset to guide me. The camera is very good for watching for boats coming up behind me. I single hand my boat, and or me!have no visibility of the back of the boat while at the helm....this works for me! I've installed several of these car radios which have a backup camera feature. They seem to work well, but I upgrade the camera for outside mounting. What MFDs do you have? I have used Cabcam brand wired cameras and screens before. Cameras are weather resistant and give a quite clear picture, even on a little cheap screen. It is clear enough to use for backing up and to keep an eye on boats behind me. 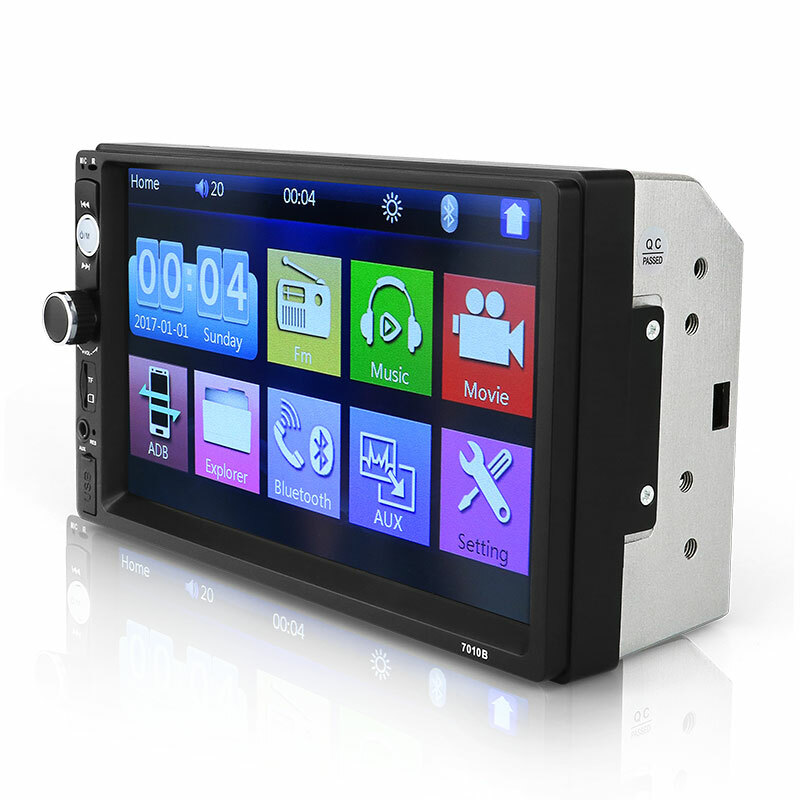 The new Cabcam 7" screen will be even better. Screens come in 3.5, 7 and 9 inch wireless or wired. There is a large selection of cameras for wireless or wired systems, 110 or 150 degree angle. Just one 110 degree camera is plenty wide to see both sides of the boat from about 12 feet away. The last kit I priced was $460 Cdn with 7 inch screen, one or two cameras ?? and mounting hardware and wire. Not the cheapest but good equipment. When backing, I look out the back window of the pilothouse or take a step onto the deck for a scan. Do you intend to have a separate display for this? Or do you want to feed it into your existing chartplotters? If you're going separate, any garden-variety car backup camera add-on would work. If you're going to use your plotter... it gets complicated. Some plotters have analog camera inputs. Going wireless for this (presumably to avoid running video cable) would require an RF-analog receiver and a matching RF sender on the camera. Some plotters support IP network cameras. Axis has made several, including gateway boxes to allow using analog cameras (to bring old cameras into a networked setup). So how do you want to display the picture? Wouldn't a lot of cameras work with an ethernet cable? I've got the Simrad Evo 3 and would love to get a backup cam that displayed on it. With regard to hooking up a camera to a chart plotter..... Wouldn't a lot of cameras work with an ethernet cable? I've got the Simrad Evo 3 and would love to get a backup cam that displayed on it. It's not the cable that's important, it's the format of the video carried on it. There's lots of different ways video can be sent over the network. Some plotters are very specific in what they'll support. It's best to start at the plotter and work your way back out from there. Find out what it can specifically support and see what matches that. So, no, just having an ethernet connection will not guarantee results. Agreed, I've already contacted Simrad to see what they say. Just wondering if someone has already done this with a Simrad unit. When I back in solo, a camera would be a HUGE improvement as there's a time when I just can't see the dock at all. Now, another option would be to install a throttle in the helm and that's strong on my list if I do a lot of soloing. Thanks, just trying to avoid running the wires. So far that sounds like the best way to go. That makes perfect sense. The detail needed for effective back up camera would require multiple cameras. My wife has been preaching about the wireless headsets, but at the same time it was her idea for the back up cameras. She quite smart, I see her advice as her saying why weren't you looking at the cameras when I screw up. Lol. Thanks for great info! Thanks! Appreciate the link. We will look into it. I wish my wife had that confidence in me. As I mentioned she's smart. Thanks! We will look into.